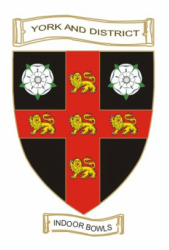 York & District Indoor Bowls Club was purpose built and opened in March 1973, thanks to the drive and commitment of founding members. The Club has gone from strength to strength: increasing the number of rinks to nine and adding a friendly restaurant to the already excellent bar facilities, which enable the club to be a popular venue for many County matches and touring teams, as well as regular league and social bowling. The Club is also host to darts, pool and domino teams, and the Jack High Restaurant can be hired for private functions. We have a weekly session on Boccia and partially sighted bowling. We have competitive leagues, but also encourage Social Bowlers, where teams are drawn from "whoever turns up", thereby catering for bowlers who are cannot commit to a weekly schedule. If anyone is moving to the area or wants more information contact the Club on 01904 704180 or e mail Ian Clough at ydibc@tiscali.co.uk or see the page "If you're new to the Club. The Club provides free coaching and free hire of shoes and woods to all those wanting to give the game a try.